Is learning to swim a Life Skill? You bet it is! It is one of the few sports that could actually save your life. You are safer in and around water. In our family, learning to swim is not a choice. It’s a skill that will serve you throughout your life. It’s great for kids with allergies and asthma. Start early and go often! You (the parent) need to be comfortable in the water, so that your child is comfortable too. The Red Cross and local community pools offer swim classes for children 6 months and up! Make sure they’re warm enough. A cold pool can turn anyone off. My youngest still wears a wet suit. He prefers the Warm Belly suit, but these are good too. Go early or stay late. Most swimmer’s success happens outside of the swim lesson. Have fun together!. Bring snacks. Swimming is a whole body sport and you’re always hungry when you’re done. Swimsuit – I’m a fan of Speedo swim suits for girls. Play suits (ruffles, etc), 2 piece suits, and baggy swim trunks can really get in your child’s way when learning to swim. Goggles – I prefer Speedo Goggles for kids. I keep a bag of random goggle parts and extra goggles for quick fixes if they break. Hint: if you find goggles for $1.00, they won’t work. Purchase a multi-pack and have them for the entire summer. Sign up for lessons and practice often. Completing one week of beginner lessons, once a year, will just land you back in the beginner class next year. Shower before you get in. We have found that if you let your skin absorb the clean water, then the chlorinated water is not so irritating or itchy. If your child’s skin continues to smell of chlorine, try our tip on how to get chlorine out. Managing the Locker Rooms. If you are unfamiliar with how the pool operates, ask for a tour. You can go one day to learn all about the facility, so you’re comfortable on your first day. Since I have boys, I always ask about family locker rooms as well. Have a “swim station” set up in your house. We keep our swim stuff in the laundry room. This is where everything lands, swimsuits are hung up, and towels are washed. Keeping the bags packed allows us to not feel like crazy people every time we leave for the pool. It’s also near the clean underwear we don’t want to forget! Look for community summer swim teams. They can be a great experience and often take young children for their developmental teams. Recently, I spoke to a group and shared the list of Life Skills. When it came time for questions, one mom asked me why I had swimming to the list. Honestly, I was surprised. I grew up a swimmer and swam through high school. Then I went on to become a Water Safety Instructor (WSI) so that I could teach Red Cross Swim Lessons. In my family, swimming was a necessity. In fact, I was taking swim lessons before I could walk! 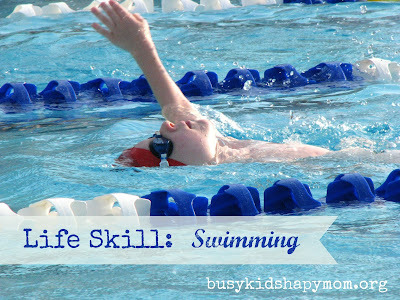 When it came time to teach my own children to swim, we signed them up for swim lessons… with someone else! We’ve had lessons in community pools, outdoor pools, friend’s backyards, and the new “strip mall” pools that seem to be popping up all over our suburban area. Watching my kids swim across the pool was like watching them ride a bike for the first time. I was so proud of them! Deirdre shared about letting go of fear in the pool, here. One Mommy recommends making it fun with songs and Katie shared about her son’s water accident, click here. She’s an avid believer in teaching children to swim. Heather from localfunforkids.com shared that her kids were fearless in the water. She taught them how to swim at an early age. She stressed the importance of having lessons 4-5 consecutive days for a two week period. Having one lesson a week for a 6 weeks stretch isn’t intensive enough. (I agree). 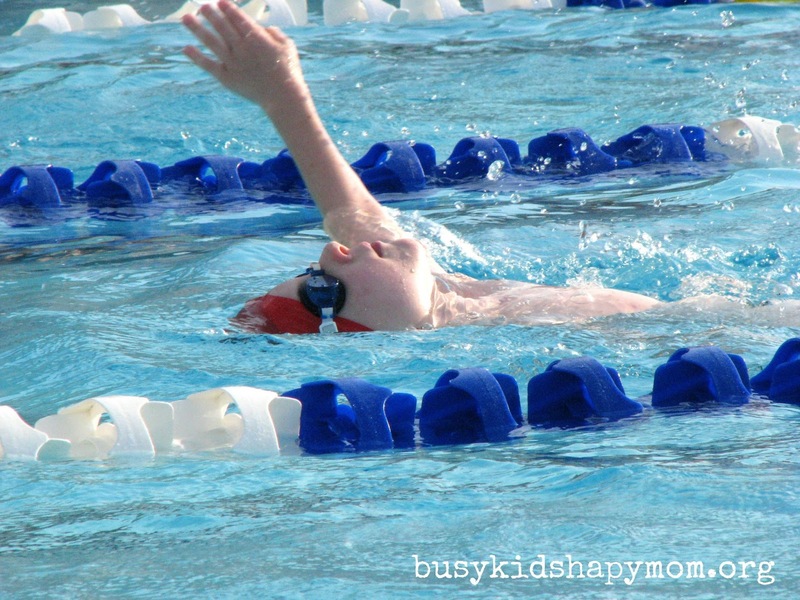 Interested in teaching your own child to swim? Check out Cheerios and Latte’s post here. 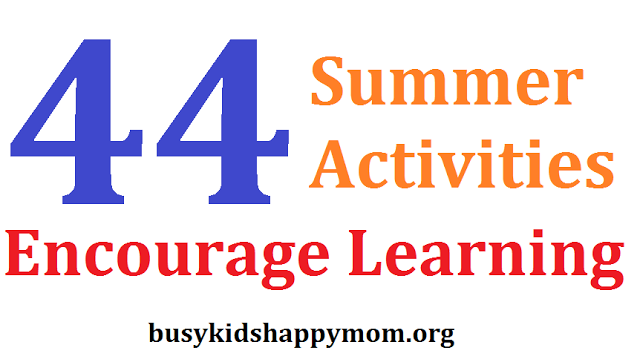 To find other ideas for Life Skills and what is age appropriate, click here. 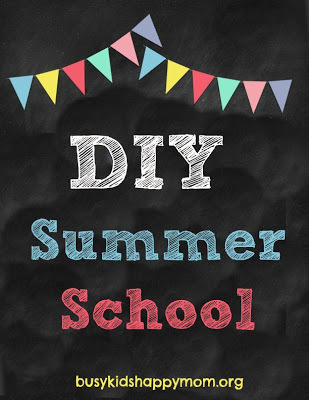 Life Skills Pinterest board full of ideas and practical tips, click here. 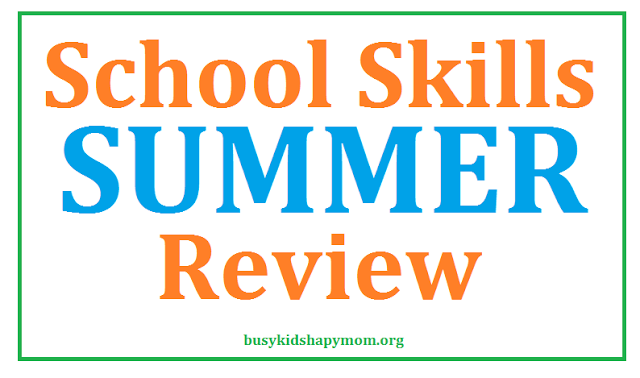 Kristen is a former Water Safety Instructor and the blogger behind Busy Kids Happy Mom, a site dedicated to fun, practical, and purposeful activities to do with your kids. Follow Kristen on Facebook, Pinterest, and Busy Kids Happy Mom. Okay, you may have won me over! I’ve been avoiding swim classes for the past 5 years. This summer will be the summer we all dive in! Thanks for the inspiration! Becky – I’m so glad! If this post just inspires one mom or family – then my work here is done! 🙂 Swim classes are not my idea of a good time, but they are so helpful. Get out there and swim! Thanks for stopping by! I just wanted to say how much I appreciate your blog. You provide such great ideas and inspiration. 🙂 Your blog is organized and pleasing to the eye. I am new to blogging; http://forevertogetherfamily.blogspot.com and am always looking for support and ideas.